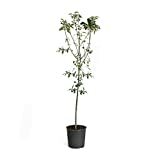 Anna apple tree for sale – Easy plant to grow with edible fruits, planting in autumn to spring, better to buy grafted tree or another option to start from seeds yet more challenging and plant that not grafted. Fruit harvesting in the summer to autumn in oval shaped fruits that appear in yellow with red color. 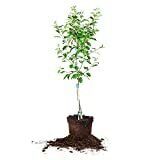 Anna apple tree for sale – What need to know before buying Anna apple tree? When is the best season to buy Anna apple tree? Anna apple tree for sale – need to know before buying Anna apple tree that it’s strong apple tree, the plant need full sun to half shade, need little bit cold hour less than other type of apples, crisp, juicy and little sour with sweet. Better to buy it from the end of the autumn until the spring (possible in the summer be less recommend).